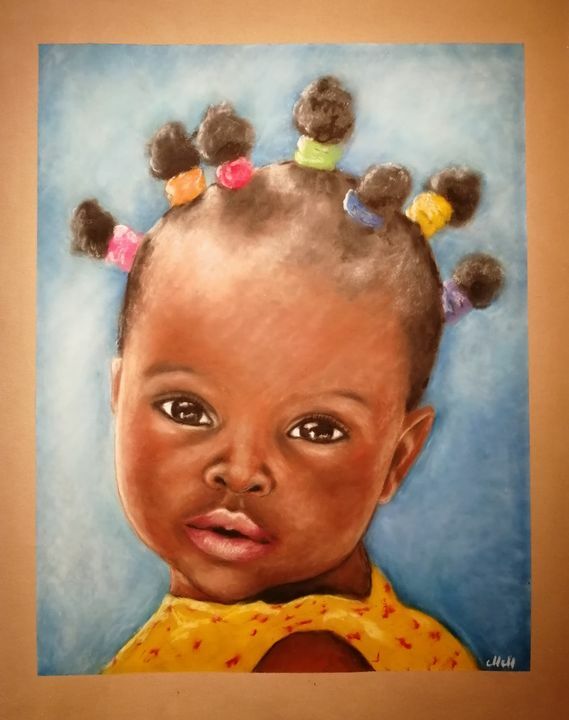 This Original painting of African baby girl is perfect Home gallery artwork or beautiful handmade Gift for someone special. When I saw the photo of this girl I fell in love in her, she is really unique and beautiful, I just had to draw her. Portrait drawing is made with oil pastel colors on velour paper. Oil pastels on velour make this painting so special and live. This is truly beautiful African art. Original painting will be carefully packaged and shipped by Registered International Mail with tracking number.